9 ways to spice up your shelves! Shelves always come with essential functionality in interior designing, but have you ever thought of designing them in unique ways? We're all used to seeing free-standing shelves that look so common and ordinary. 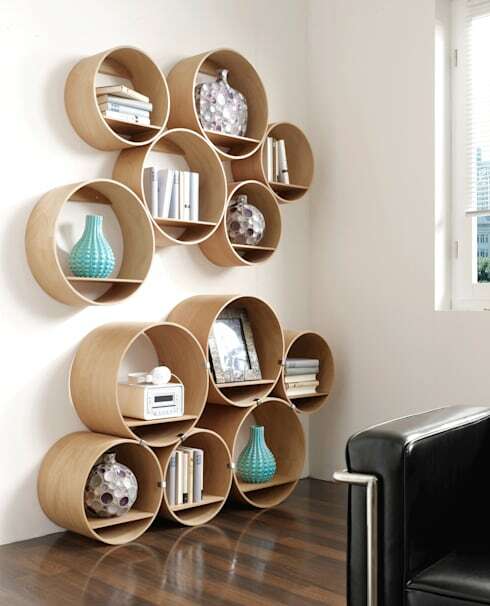 Why not give a little designing attention to your useful set of shelves? Here's a stylish list of 6 ways to design your shelves! 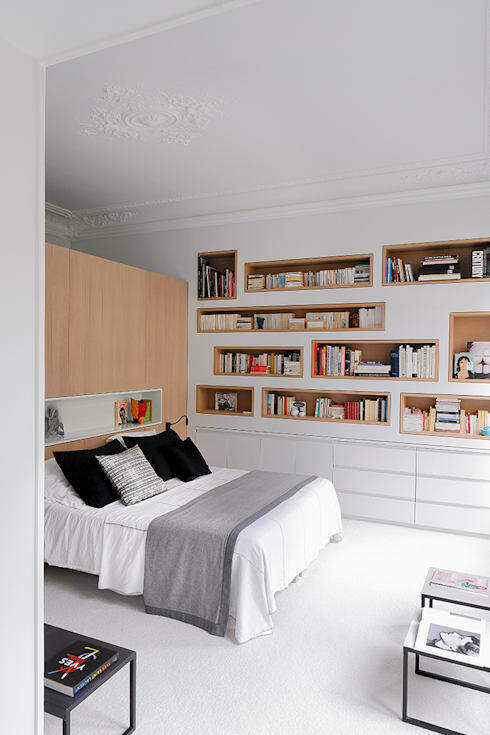 Built-in hollows are always great ideas when it comes to incorporating your shelves into design. Not only does it look organized and stylish at the same time, but it's also very convenient and space-saving! Imagine how much space you can optimize from these hollows that are carved in from the inside rather than popped out on the outside like normal shelves. 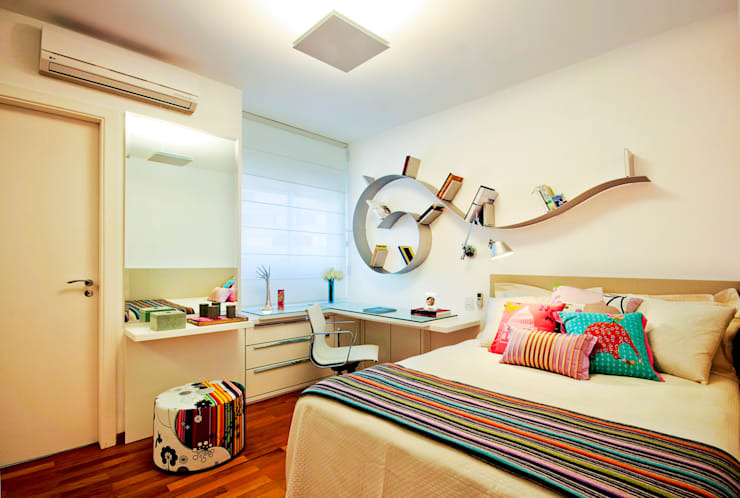 Have fun with your imagination when designing your shelves. This unusual yet creative design from Alice Martins Flavio Butti showcases a snail-like design that adds a lot of spice to the room! The blank wall ultimately becomes the center of attention in the room. 3. A ladder for a shelf! Other than being imaginative and creative with design ideas, try to be a little more resourceful too. You'll never what kinds of furniture pieces you can find in the old attic that can be turned into something useful. 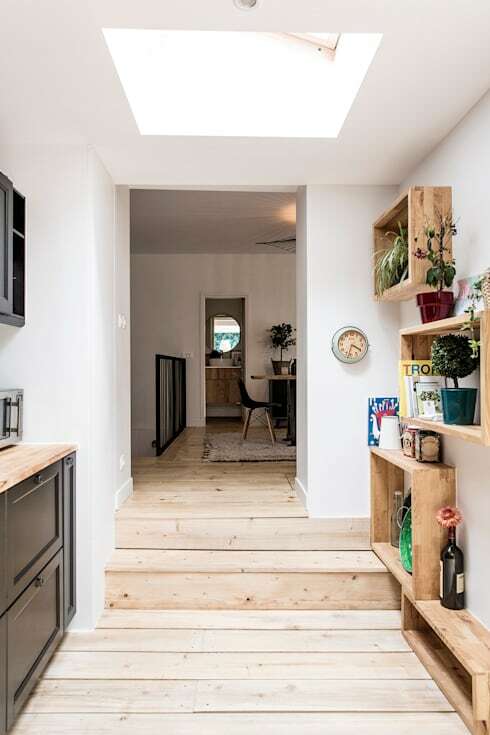 This smart design features a wooden ladder that's turned into a set of shelves! Who doesn't love pops of color here and there? 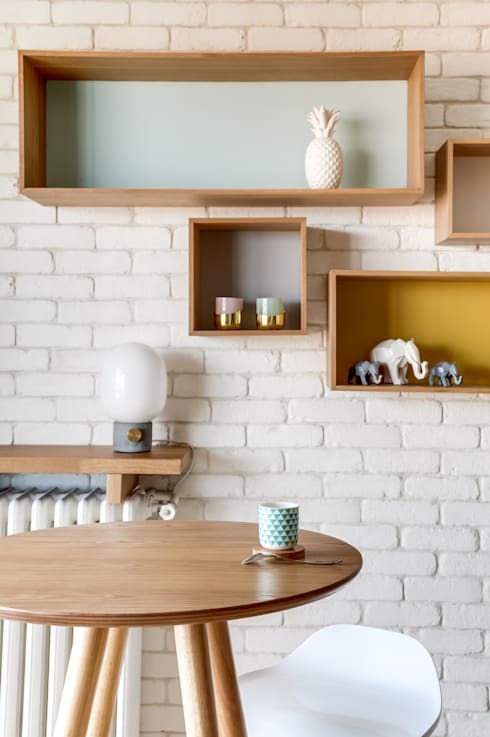 Brighten up your shelves with a simple coat of paint as a background. It will definitely highlight your displays and decor! We all love a touch of natural elements in our interiors. Other than fresh blooms and bright greenery, you can always incorporate rustic, unfinished wooden details in your interiors! Check out this set of shelves -- wooden trunks beautify the simplicity of the shelves. Never take hallways and corridors for granted -- they need tender, loving care in terms of interior designing too! Try using old fruit baskets and attach them on to the walls. They look great along with potted plants for the natural effect. You can never run out of ideas with shelves. Try to go out of the box with ideas and have a professional carve out your preferred design. 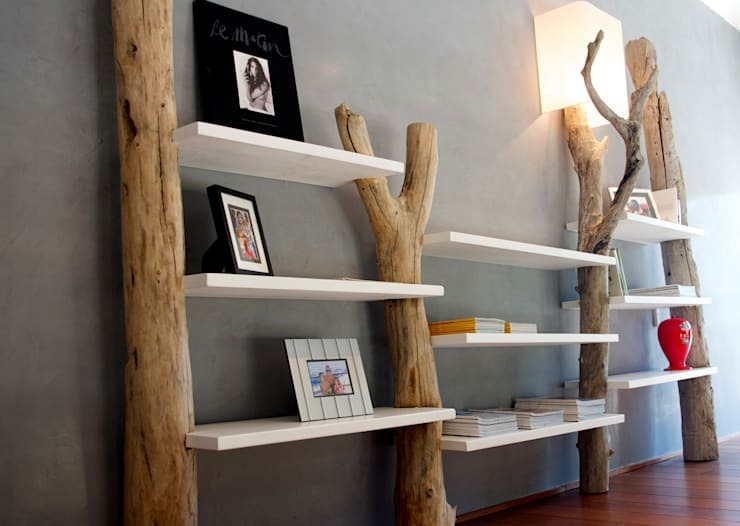 This striking shelf design features a tree-like structure! Did you know that old and unusable pallets can be turned into something beautiful? All you need is a little imagination and creativity. If you want furniture that looks expensive and modern without spending a lot money, wooden pallets are the way to be. 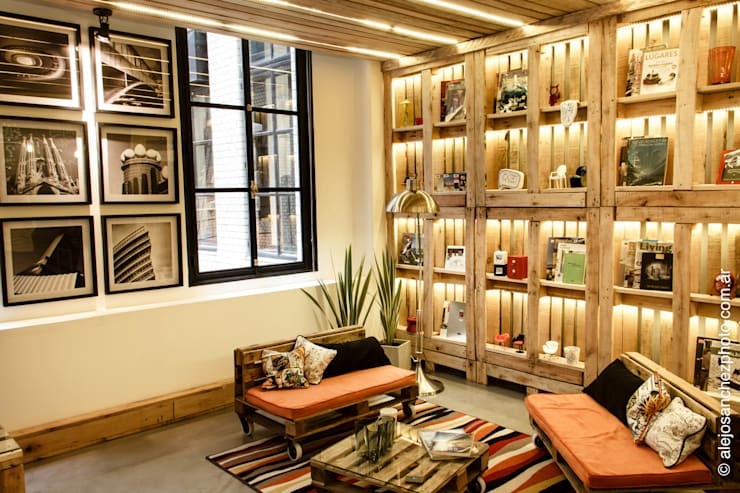 Wooden pallets are easy to transform into beautiful functional pieces of furniture, like these shelves pictured above! Of course, shelves don't have to be always flat. Play with shapes and try out rounded designs! They bring a whole new level to shelves and add dimension to the design. Now that you've got ideas to spice up your shelves, check out these 8 bathroom storage ideas that are easy and stylish too!